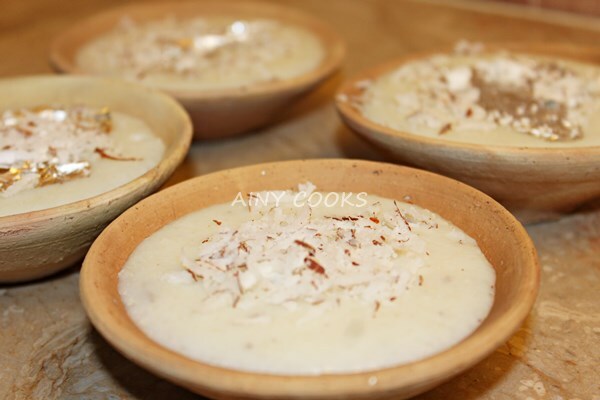 FIRNI is basically a variation in famous traditional dessert KHEER, method and taste of both are different. 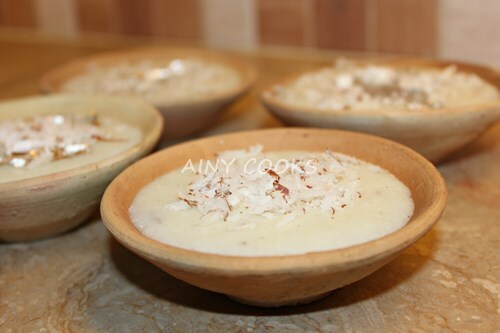 This is a special Dhabba dessert which is served in Clay plates/ thotian. 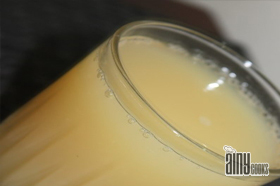 Cook milk, cardamom and rice powder on low flame, stir constantly. Add sugar and keep on stirring till become thick. 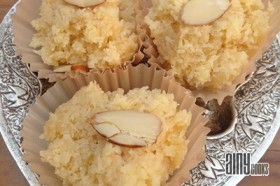 Add khoya and coconut. Mix well. Now add rose water and mix. 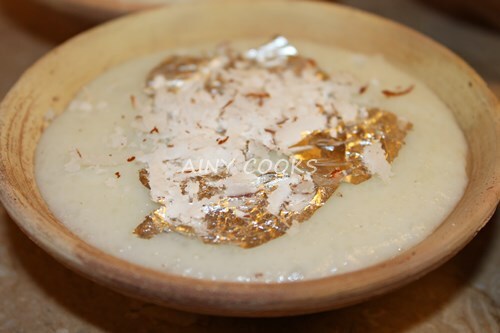 Pour in clay plates and garnish with Almonds and coconut flakes.